I believe that families in the midst of a divorce are in crisis. During this “Crazy Time”, parents are distracted and preoccupied and are often at their most vulnerable. Children need to be protected as parents navigate through these troubled waters. Parenting through crisis requires that parents refocus on the needs of their children and reconnect with their children’s needs for two whole parents pulling together to keep their world feeling intact and safe. Having a professional to facilitate difficult conversations and teach parents conflict resolution, problem solving and communication skills strengthens the parenting team as they transition to the new family constellation. The Pact Program is a special form of co-parent counseling designed for parents who are divorced or divorcing. It is focused on teaching parents who are parenting from two different households how to coordinate their parenting efforts to insulate their children from ongoing conflict. This work is almost exclusively focused on helping parents recognize and support the interests of their child(ren). I teach you the behaviors needed to communicate better, solve problems together, resolve conflict, manage anger and interact more effectively and with less conflict. In this program I meet with you and your child(ren)’s other parent to assess the nature and degree of your conflict and provide problem-solving strategies and education designed to reduce the particular conflict between the two of you. The meetings are focused and directive. The goal is to concentrate stay on task and avoid needless arguing. I teach parents to solve problems and focus on developing practical and appropriate solutions to the problems of co-parenting during and after divorce. It is crucial, that parents take back the role of parenting their children; rather than leave it up to the court to guide parents with one legal motion after another. The Collaborative Team Approach is an alternative to adversarial divorce that protects children and families by limiting conflict and preserving parents’ ability to work together on behalf of their children after they have reached settlement. As a mental health practitioner on a collaborative team, I work along with two collaborative attorneys (each representing their respective clients), a neutral financial specialist as a either a Mental Health Coach or a Neutral Child Specialist. Parent Coordination is for parents who need a point person to help them work together following an agreement or judgment of divorce I provide Parent Coordination services to help them reach decisions on behalf of their children. 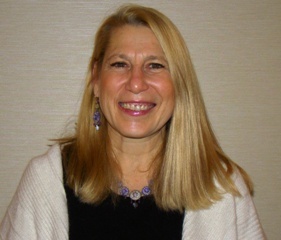 Lauren Behrman, PhD, provides counseling, psychotherpy, divorce mediation, divorce therapy and coaching, in Westchester, White Plains, Katonah, and the Upper West Side of NYC. Lauren specializes in the following areas: Divorce, Infertility and Adoption. I am a Licensed Psychologist, mediator, collaborative divorce professional and parent coordinator in private practice in Westchester, NY with offices in White Plains and Katonah, and Midtown Manhattan, providing counseling and psychotherapy for children, adolescents, and adults struggling in life and relationships. My practice is a mix of individual therapy with children and adults, couples and families facing challenges and transition in life and relationships. I provide divorce services that include Parent Coordination Co-parent Counseling with High Conflict Parents, Neutral Child Specialist, Process Facilitator and Divorce Coach in Collaborative Matters.